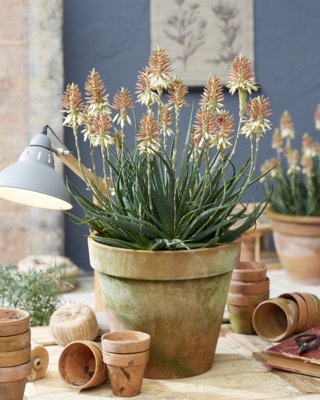 The Aloe Safari series brings Africa to your garden with its warm colors! 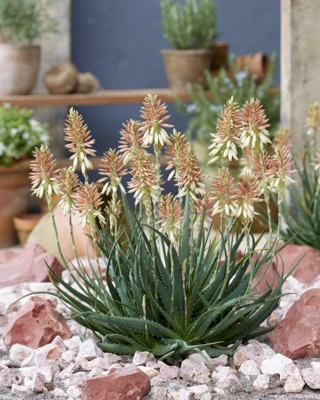 Aloe Safari Sunrise has bright bicolored flowers of pink and cream and it flowers abundantly. 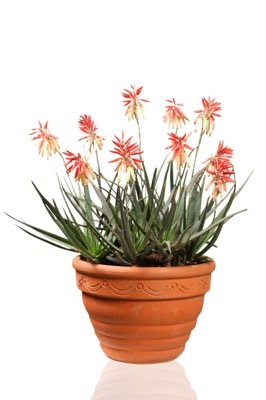 It is a compact plant that grows 12” tall and 10” wide. 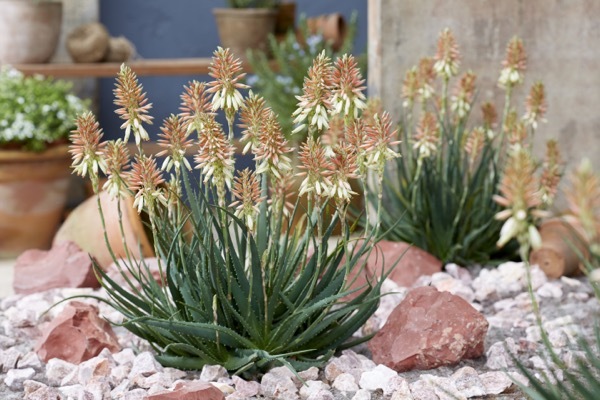 Plant Safari Sunrise in the full sun in a well-drained soil. 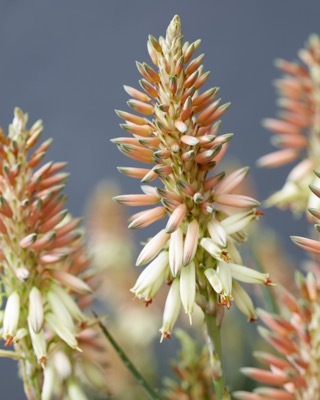 This evergreen is an excellent addition to the succulent garden, as a solitary on patio or balcony, as an accent plant or in mixed containers. 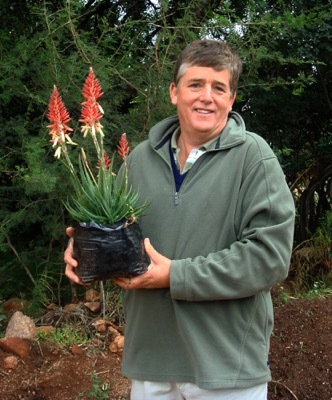 Nice for growers: it grows fast to a sellable product.